Visit the most romantic city - Paris! As the most visited city in the world and the largest city of France, Paris is truly a must see travel destination for friends, couples, and families. Paris is the most romantic city in the world, so why not bring your loved ones, or find your romance in the City of Light? Stroll through the streets of Paris, and you will find yourself indulged in French culture. Surrounding you are classic Parisian architecture, traditional French music whimsically floating through the air, chic fashion, and the famous pantomime entertainers, throughout the Parisian streets. Aside from the Parisian culture of love, art, high fashion, and delicious gourmet, there are many world famous attractions that bring so many travellers into Paris. 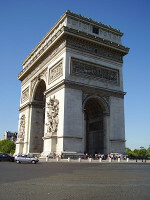 Come and visit the grand Eiffel Tower, the Cathédrale de Notre Dame, the Catacombes of Paris, and the Arc de Triomphe! For a bit of classic art by famous painters such as Leonardo DaVinci and Claude Monet, visit the famous Louvre Museum of Art. And for a bit of shopping in the chic Parisian area of Les Champs-Elysées. To see all of the notable landmarks making Paris the "City of Light", stay in a convenient location which allows easy access to all of them. Gift-Tours offers various accommodation choices in locations all throughout Paris. 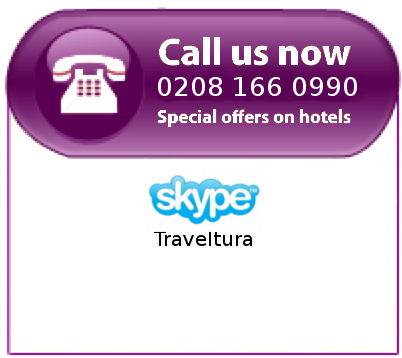 Stay in any area of Paris from low budget hostels and hotels to upscale hotels, apartments and studios. With so much to do and see, why not save some time worrying about your next move and plan your travels ahead of time with Gift-Tours! Gift-Tours offers everything you will need for your travel in Paris including accommodation, transportation, tours, and just quality information for our travelers. For more information about accommodation in Paris, please search for the perfect Parisian accommodation through our search engines, submit an enquiry with, or contact us! ??????? ?2 ?????? ?/a> ???? ?/a> ??????? �?????? ?/a> ??? ?